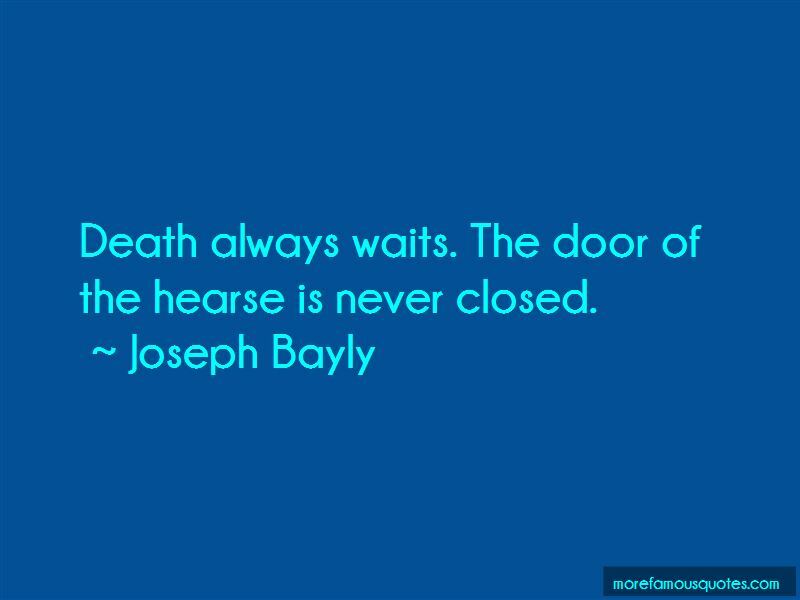 Enjoy the top 7 famous quotes, sayings and quotations by Joseph Bayly. Don't you know that there is more than just the issue of the Jews? The issues are more complex than that! What of the poor in this country, who cannot afford housing? What about the sick and malnourished? Don't you care about these people? Don't you claim to be a follower of Jesus?! Supporting a murderous political agenda with such an argument is tragic! And what do we know about Obama? He is the single most anti-life proponent that has ever run for the office of president. 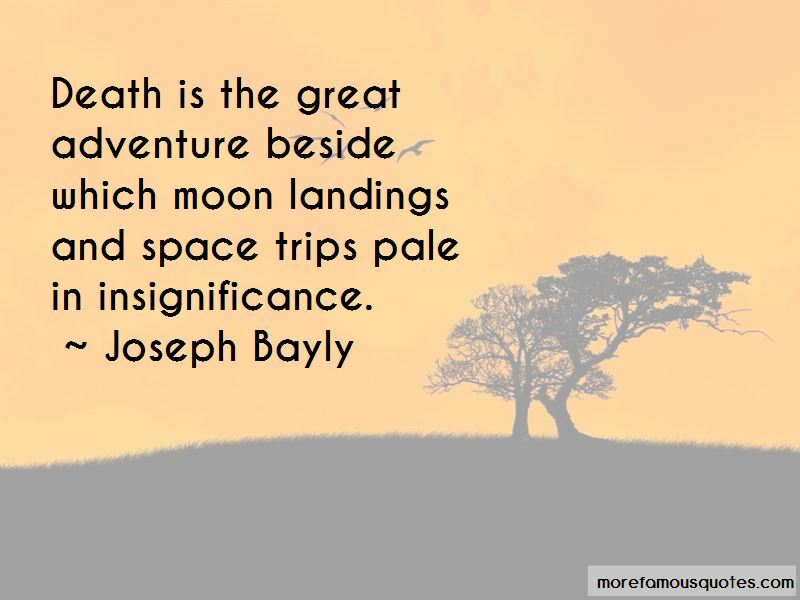 Death is the great adventure beside which moon landings and space trips pale in insignificance. 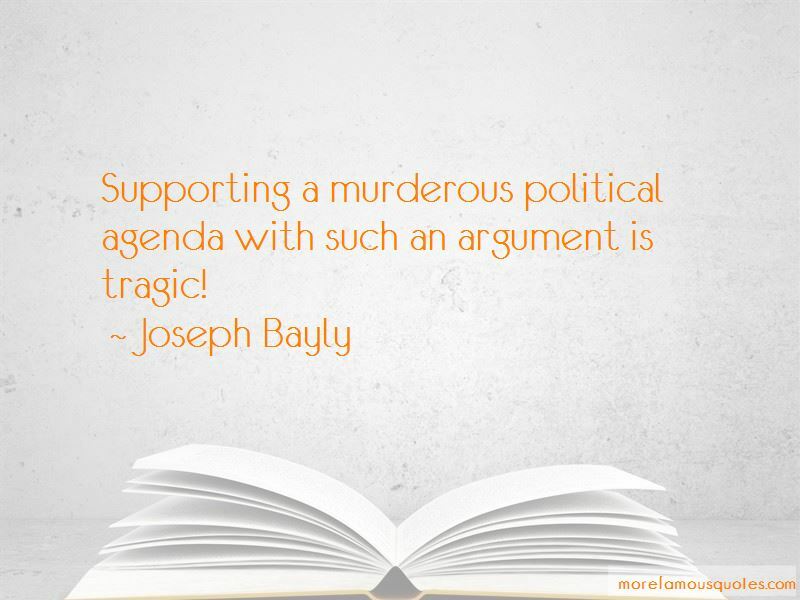 Want to see more pictures of Joseph Bayly quotes? 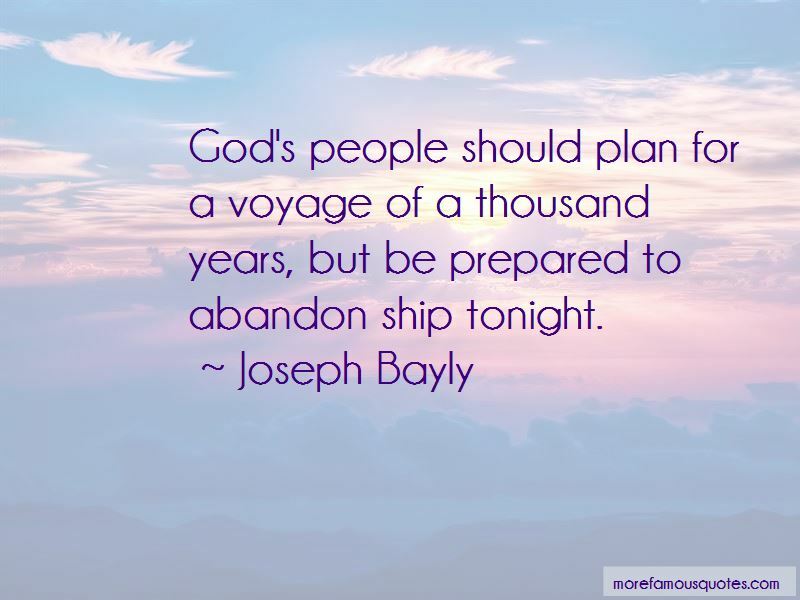 Click on image of Joseph Bayly quotes to view full size.